As an antiseptic and pain-reliever, clove essential oil relieves toothaches, flu, colds, and bronchial congestion. DO NOT apply it straight on a babys gums for teething (as is often suggested, or you may end up with a screaming baby because it tastes so strong and hot). Instead mix only two drops of clove bark oil in at least a teaspoon of vegetable oil. It can still be hot, however, so try it in your own mouth first. Then apply it directly to the babys gums. In a heating liniment, clove essential oil helps ease sore muscles and arthritis. Researchers have found that the spicy aroma of clove reduces drowsiness, irritability, and headaches. 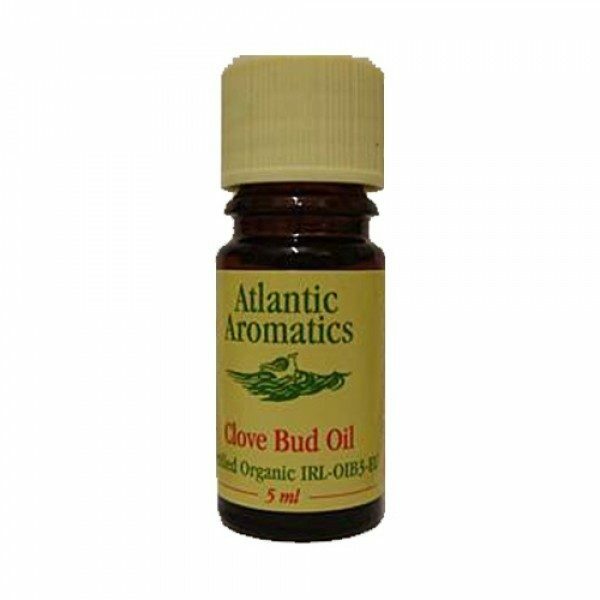 Pure essential oil of eugenia caryophyllus buds. The essential oil irritates skin and mucous membranes, so be sure to DILUTE it before use. Clove leaf is almost pure eugenol; do not use it in aromatherapy preparations.